The bull market has overcome a number of geopolitical risks in the past five years. Ukraine might be another speed bump. The crisis in Ukraine has the hallmarks of a Black Swan event -- one of those unforeseen shocks that keep investors up at night. But even though stocks around the world were falling Monday, several experts are confident that the political turmoil in Ukraine -- and the growing risk of a war with Russia -- won't derail the bull market. John De Clue, international investment strategist at U.S. Bank Wealth Management of Minneapolis, said he was optimistic about the outlook for stocks this year. He pointed to "reasonable" valuations and extremely low inflation. While geopolitical risks could weigh on stocks in the short-term, De Clue said that "it's hard to construct a scenario for trouble" over the long term. He added that even if there is a longer pullback, it will probably be short lived. What's more, the threat to the global economy from a Ukraine-Russia conflict is relatively small. U.S. exports to Ukraine total about $2 billion a year, while exports to Russia are $10 billion, said Jay Bryson, global economist at Wells Fargo Securities. However, Russia is a major energy supplier for Europe, and an oil price shock could hurt the European economy just as its beginning to emerge from a long recession. Oil prices jumped about 2% on Monday, though analysts were quick to note that political upheaval in Venezuela was also to blame. 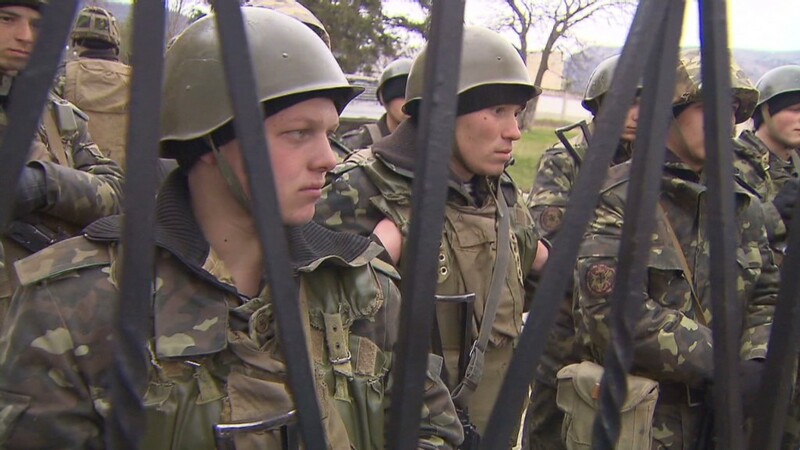 The tension in Ukraine increased dramatically over the weekend, with Russian troops taking over key government installations and surrounding Ukrainian military bases on the strategically important Crimea Peninsula. A Russian official denied reports that Moscow issued an ultimatum Monday to Ukrainian forces in the Crimea to clear out Tuesday morning or face a "military storm." But if anything, the problems in the region could spell a lot more trouble for Russia than the rest of Europe or the United States. Stocks in Moscow plunged Monday and the ruble fell to a record low against the dollar. Benoît Anne, head of emerging markets strategy at Societe Generale, thinks the situation will ultimately be resolved through diplomacy, though much will depend on how the United States and Europe respond. Given the complex issues at hand, it could take time for a solution to be reached, he added. "This leaves us with a transition period during which the risk of negative headlines is quite high," said Anne. The political shock could be "measured in weeks, not in days." While the Russian Parliament approved President Vladimir Putin's request to use military force in Ukraine, analysts at Bank of America say Putin is unlikely to launch an all-out attack. That's partly because Moscow already holds significant sway in the largely Russian-speaking Crimean Peninsula, home to an important Russian military base. At the same time, military action against Ukraine would come at a high cost for the Russian economy, which is already losing momentum. A war could cost up to 3% of Russian gross domestic product, including about $30 billion in lost gas exports to Europe, according to BofA. Then there is the political cost. U.S. and European leaders have called for sanctions that could inflict additional economic pain on Russia. "The stakes are much higher for Russia than they are for the United States or Europe," said Jack Ablin, chief investment officer at BMO Private Bank. "It's hard for me to see how this escalates." While the long-term impact may be limited, Ablin said the crisis could revive worries about the risks of investing in developing economies. "If anything, this underscores the level of instability across the globe from Turkey to Thailand," said Ablin. Stocks took a hit in January as turmoil in the so-called Fragile Five economies of Turkey, Brazil, India, Indonesia and South Africa, caused investors to worry about the health of the global economy. But the market bounced back in February, with the S&P 500 returning to all-time highs. 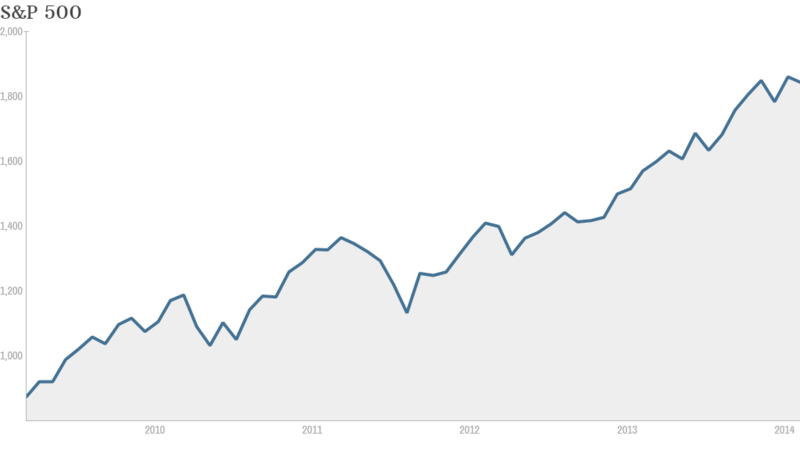 After bottoming on March 9, 2009, U.S. stocks have now been in a bull market for nearly five years.